Auburn Hills James Hardie Siding | Auburn Hills James Hardie | Auburn Hills James Hardy Siding | Auburn Hills James Hardie Fiber Cement SidingMcGlinch & Sons CO. Going back to when our doors were first opened in 1917, McGlinch & Sons Co. Home Improvements has been able to successfully deliver the most substantial James Hardie Siding that customers located all over the Greater Detroit Metropolitan Area and Southern Michigan actually need and want! McGlinch & Sons is trusted and successful family-owned business that is unique being it offers customers four generations of skills and knowledge. The primary contributing factor to our outstanding customer service is our 97 years of being in this business. We are known for our ability and the products we proudly offer, James Hardie Siding with all facets of exterior construction. James Hardie brand is the name of siding that’ll not just include to the overall beauty, safety and vigor of your house, but will also increase you the value of your home too! James Hardie is understood to be the Nation’s #1 Brand of Siding. James Hardie Fiber Cement Siding is absolutely resistant to all types of weather conditions and is pretty-low maintenance to keep, as well! As a result, the residents of Auburn Hills are more likely to get in contact with McGlinch & Sons mainly because we have all of the James Hardie Siding products that they really want, plus our expert services are phenomenal, too! HardiePanel Vertical Siding (look of board-and-batten). As Hurricane Sandy showed people on the Eastern Seaboard in recent years, James Hardie Siding is absolutely hurricane resistant. As we all know, taking up residence in Michigan we do get severe windstorms, hailstorms and tornadoes get severe windstorms, hailstorms and tornadoes, but fortunately not any hurricanes. Fortunately with James Hardie Siding, we don’t have to worry so much like the east coast does. 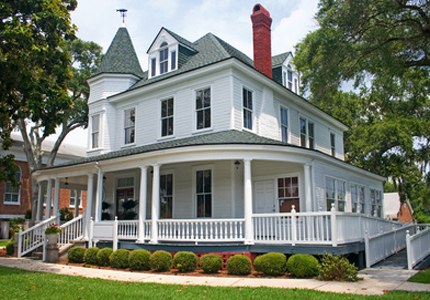 McGlinch & Sons’ James Hardie Siding is so much b better than both vinyl and wood siding products combined! James Hardie Siding is also not flammable, fade-resistant and even weather-resistant and is five times. With James Hardie, it puts an end to moisture from rain, snow and humidity. And, even because of its incredible impact-resistance against debris caused by hail and the wind, James Hardie Fiber Cement Siding is recommended by building codes for homes built in areas of being prone to hurricanes, tornados and wildfires. To learn more about McGlinch & Sons, just give us a call at: (248) 987-6300 for our various products and services. Let James Hardie Siding cover your beautiful home today!